EliteSingles VS Cougar Life | Which Online Dating Site is The Best? 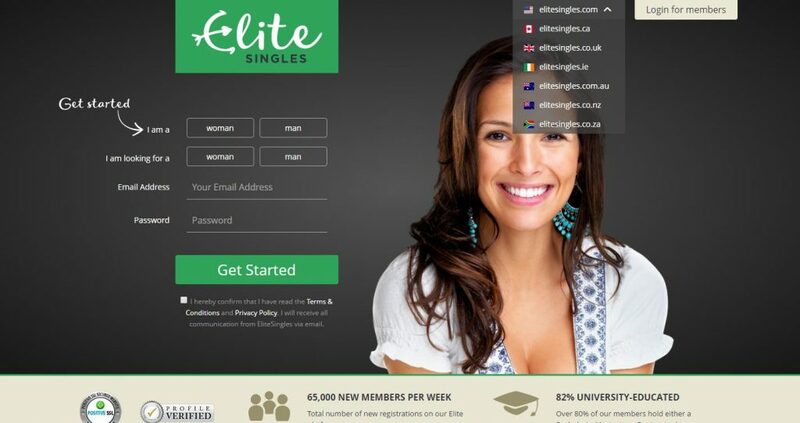 EliteSingles VS Cougar Life: Which Online Dating Site is The Best? Compare professional reviews of the two sites. 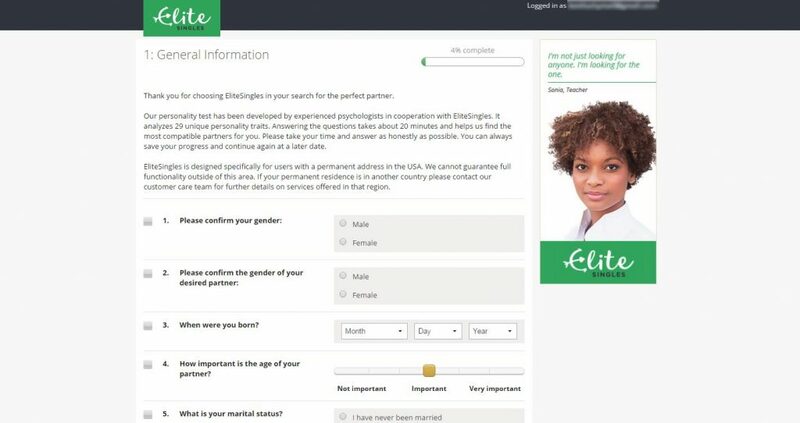 In order to help you to find which online dating sites may represent the better choice for you, we have compared EliteSingles with Cougar Life, based on 7 major characteristics of the dating service: Popularity, Match Probability, Features, Ease of Use, Safety, Plans & Pricing, and Help & Support. Released on the market back in 2006, CougarLife is a dating website dedicated to helping mature women find and date younger men. The website is the child of Ruby Life Media, a company original from Canada, a highly reliable and reputable company in this particular domain. When there is mutual attraction and each party gets what is needed from a relationship, age matters less, according to the philosophy of the website. Thus, the company created this secure dating website that facilitates the occurrence of such a relationship, making it a win-win situation for all parties involved. Providing an impressive user database, each member has incredible chances of finding a date on CougarLife. The best part about this dating site is that it really focuses on eliminating age-related issues, offering the best environment for younger men to contact older women and the other way around. Why is CougarLife different? If you ever tried out a dating website, you probably noticed that there are way more men than women as members. When it comes to CougarLife, things are the other way around. This particular website is dedicated to women mostly, so here the number of female members will exceed the number of male members, even if we eliminate fake profiles out of the matter. The website brags with an impressive number of 500,000 users at the moment, their numbers growing from one month to another. Also, in spite of the fact that this dating website was created to help mature women date, it is also possible to find a smaller group of younger women activating on the site as well. So, we can say that there’s a potential date on CougarLife for everybody. Among the features we found most interested we must mention the notifications you will receive each time someone will check your profile out. How does this help? Well, you can see who finds you interesting enough to look at your profile, so you can decide whether you want to break the ice or not by contacting a particular person. Would you like things to move faster? Then you can always take advantage of the “Find A Date Tonight” option, which will find potential dates in your area at the push of a button. Keep reading our honest Cougar Life review to learn more. Let’s be honest. No one enjoys a lengthy and time-consuming sign-up process. After all, you’re here to meet new people, not spend countless hours figuring out how to sign up. Luckily, CougarLife has an extremely simple sign-up process, in one single step. Just fill in the available form with your details and submit it and you’re done. This is all you have to do, simple right? Also, it is worth mentioning that not all fields on the form must be completed at once. You can take care of them once you decide to become a member of the website. If you are a cougar looking for a cub or the other way around, CougarLife is the best online dating website for you. It is a good option whether you are looking for adventures, long-term relationships, and even marriage if you find the right match. While it is true that a large number of female members can be overwhelming for a young man looking to date, putting some effort into creating a great profile definitely helps in attracting the best dates. Thus, if you are looking to find divorced women, single mothers, or single mature women, this is the best website for it. Women enjoy free access to the services of CougarLife, but men will have to pay for a membership. But, considering the high number of women, young men will find it easier to date on this website, so it is worth making the investment.